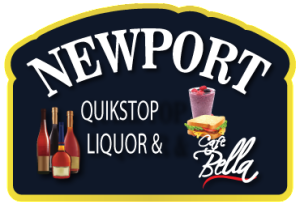 Online ordering menu for Newport Quik Stop & Cafe Bella. Welcome to Cafe Bella at Newport Quik Stop Liquor, treasured by locals and foodies one of San Diego's hidden restaurant gems. The we're located in a small space, we're backed with big flavor and an awesome menu selection which includes breakfast, southwest favorites, and Mexican grill cuisine. Regulars love our Carne Asada Torta and California Sandwich--pilled high deli selections, avocado and spouts. Looking for a little early morning or mid-day boost? We've got you covered! Try one of energizing Acai Power Bowls or grab a Pitaya-Strawberry smoothie. Cafe Bella is conveniently located near the corner of Newport and Cable St, inside Newport Quik Stop Liquor, just minutes South of Ocean Beach Athletic Area. Order Online Today!